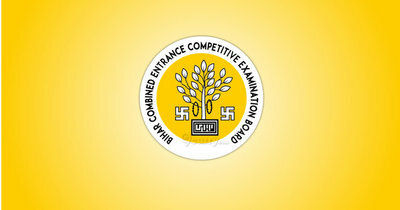 BCECE Recruitment 2019: Bihar Combined Entrance Competitive Examination Board / bceceboard.bihar.gov.in is conducting recruitment processes to fill new vacant positions. As of now, there is one recruitment drive going on for BCECEB DECE LE 2019 - Online Form. BCECEB DECE LE 2019 - Apply Online for BCECEB DECE LE 2019 Exam. Online Applications are invited by Bihar Combined Entrance Competitive Examination Board from 29 Mar 2019 to 28 Apr 2019 11:59 AM. BCECE Post Graduate Engineering Admission Counselling PGEAC 2018 - Online Applications are invited by Bihar Combined Entrance Competitive Examination Board from 17 Jul 2018 to 24 Jul 2018 11:59 PM. Bihar ITI Online Application Form 2018 ITICAT Admission - Apply Online for Bihar ITI Online Application Form 2018 ITICAT Admission in BCECE. Online Applications are invited by Bihar Combined Entrance Competitive Examination Board from 06 Apr 2018 to 27 Apr 2018 11:59 PM. BCECE Admission 2018 - Apply Online for Bihar Polytechnic 2018 (DCECE) Online Application Form in BCECE, Bihar. Online Applications are invited by Bihar Combined Entrance Competitive Examination Board (BCECE) from 16 Mar 2018 to 06 Apr 2018 till 11:59 PM and Entrance Exam to be held on 12 May 2018 and 13 May 2018.